As an unpublished writer, I try to enter contests where the judges will give feedback. With the Great Expectations contest, I not only received score sheets, but two judges gave insightful feedback that has helped me in my writing career. Thanks to the chapter for putting on a first-rate contest. To Trust a Prince finaled in the Great Expectations contest in 2004. The feedback I got back from all the judges was invaluable. The comments were both supportive and constructive. The Harlequin editor who judged the finalists gave me incredible feedback that changed my writing completely. When I decided to pursue indie publishing, I broke out those comments and reworked the book. It's the second in my It Started in Texas series. Today I'm an NTRWA member, and I love judging the contest. "I wanted to drop you all a line to say thank you. I placed first in the Great Expectations contest, Single Title category, in 2014. The feedback I received was so constructive and amazing. In April of 2014 the book was published by MuseItUp. I cannot thank you all enough for your help and guidance." Vanessa M. Knight writes contemporary romance novels with a dash of suspense. She's a member of Romance Writers of America and Windy City RWA. 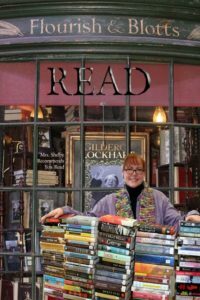 "I read an article written by Darynda Jones on the importance of entering contests as a way of obtaining much-needed feedback from people who don't know and love you, and as a avenue into publishing. I took her advice to heart and entered a few contests. The Great Expectations contest was different from the others in that I didn't feel as though I was shouting into the void, my entry forgotten in an unused e-mail box. My category coordinator was genuine and wonderful, personally writing notes to me to let me know where I was in the process. The feedback from judges was concise and instructive, helping to direct my edits. In all, the Great Expectations contest was an amazing experience." "I was the NA category winner, and I do have a nice follow-up story! Thank you so much for asking. I self-published the book literally the night that I won. 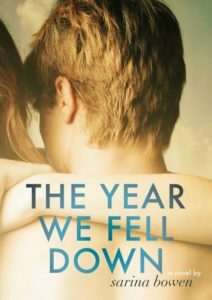 Essentially, I let my win nudge me to dive into the deep end, and THE YEAR WE FELL DOWN became my first self-published book ever. Since that day, I've sold thousands of copies into 23 countries. The book has received glowing reviews from Dear Author, Aestas Book Blog and Maryse." Author of contemporary romance & New Adult romance. Sarina Bowen writes steamy, angsty contemporary romance from Vermont's Green Mountains. Her ancestors began logging and farming Vermont during the 18th century. These were rugged, outdoor types without benefit of a laptop or a good latte. It boggles the mind. "I've entered The Great Expectations contest twice. In 2013, I finaled in the Historical category with The Tin Man's Heart, and in 2014, I won the Single Title Contemporary category with Wild in Her Eyes and garnered an editor request! I went on to sell that manuscript in a 3-book deal to St. Martin's Press. It has been retitled HONEYSUCKLE SEASON and will be released March 2015, just one year after the results! I've entered many contests, and the NTRWA GE is my favorite. The first-round judges' feedback is excellent, the final judges are fabulous, and it is extremely organized. It seems like some finaling entries always receive requests. I can't recommend this contest highly enough!" Right now, I'm working on Book 2 of my Falcon Football series, tentatively titled Firefly Season. And, I'm expecting edits for Book 1, Honeysuckle Season, in September and edits for Book 1 of my Spies and Lovers historical series, An Indecent Invitation, in October. It's going to be a busy fall! But, you'd better believe I'll be planted on the couch every Saturday watching my University of Tennessee Volunteers play football! Go VOLS! "Finding out DINER GIRL was a finalist in the contemporary category of the Great Expectations contest in 2008 was one of those big, life changing events that propelled me toward believing in myself as a writer. For the first time I had readers, some even published, who enjoyed my writing. What a rush! Now that DINER GIRL is out as a second edition, all I can do is continue to give huge, heartfelt praise to the coordinators for making Great Expectations the contest that truly beats all other contests. Thank You!!" Mary Duncanson (who also writes as Mary Malcolm) lives in North Texas with a menagerie of animals and a steady stream of vagrant, imaginary friends (whom she politely refers to as characters). Addicted to coffee, chocolate, and Pablo Neruda, Mary spends most days either in front of her computer communing with her surly, shared muse, or drooling her way through Central Market (do not judge her; it is her Mecca). 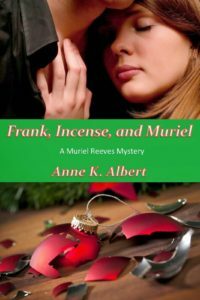 Mary is most likely to be found online at www.facebook.com/authormarymalcolm, and her novels: DINER GIRL, ACCIDENTALLY A BRIDE, THE TEXAS MILLIONAIRE’S RUNAWAY WIFE, TROUBLE COMES KNOCKING, UNSPOKEN TROUBLE (2015), and BURNING TROUBLE (2015) can be found at most e-book retailers. "As an Australian romance writer, I’m keen to ensure my books don’t have too many “Australian-isms” and for this reason, entered the GE contest. I wanted to see what American judges thought of my writing. The contest manager and judges’ feedback far exceeded my expectations and I believe this to be the most professional writing contest I’ve been a part of. I found the feedback to be extremely valuable, insightful and helpful. The judges had a clear understanding of their role. The managing of the contest was excellent and it was fun to receive “pins” that I could post on line when I finaled. I highly recommend the Great Expectations contest to unpublished romance writers." "I cannot recommend the NTRWA's Great Expectations contest enough. The feedback was both encouraging and humbling and I needed it. As a first time novelist, having the NTRWA's stamp of approval has opened up countless doors and given me confidence I lacked to start a conversation with a stranger about my book. Thanks NTRWA!" "After coordinating the Great Expectations Contest for several years, I stayed in the background advising in 2009 and was able to enter. I won the Contemporary Series category with SEE JANE RUN and sold the manuscript the following November to Harlequin Intrigue. Thanks to all the people who make the GE a terrific contest with excellent feedback. The volunteers, the judges, and the final-round editors are always stellar." USA Today and Publisher's Weekly best seller Angi's romantic suspense has been nominated for the Booksellers Best First & Best Series Romantic Suspense, Romantic Times Best First Series Romance, Gayle Wilson of Excellence, the Carolyn Readers Choice Award and the Daphne du Maurier, Angi Morgan utilizes her strong heritage to create passionate characters willing to risk everything. An 11th generation Texan, she plots ways to engage her readers with complex story lines, in actual Texas locations. She shares her research and photos on her daily blog. "Intrigues where honor and danger collide with love." I love to chat with readers. Catch me on Facebook, A Picture A Day or Goodreads. "The Great Expectations contest was the first contest I ever entered with my manuscript, PROOF BY SEDUCTION. I got fantastic feedback from judges who tried to "get" my manuscript, not the manuscript they wished I had written. The contest itself was also the best-run contest of every one that I have entered--we received regular communication and updates, and results came out extremely fast. Six months after I entered the contest, I sold the book that finaled." Courtney Milan is a New York Times and USA Today bestselling author of historical romance. Her books have received starred reviews in Publishers Weekly and Booklist. "In 2008, I won the historical category of the Great Expectations contest. I was really impressed by the quick turn around and highly recommend the GE. Kudos to North Texas RWA for such a well-organized contest. While my win did not lead directly to a sale, I did in fact sell the book that finaled in the GE in a three-book deal to Grand Central. All three books are slated for publication in 2011." Vicky Dreiling is a confirmed historical romance junkie and Anglophile. Frequent business trips to the UK allowed her to indulge her passion for all things Regency England. Bath, Stonehenge, and Spencer House are among her favorite places. She is, however, truly sorry for accidentally setting off a security alarm in Windsor Castle. That unfortunate incident led her British colleagues to nickname her "Trouble." When she's not writing, Vicky enjoys reading, films, concerts, and most of all, long lunches with friends. She holds degrees in English literature and marketing. A native Texan, she shares her home with her daughter and a spoiled mini-lop rabbit that lives in a slightly gnawed cardboard cottage. "In 2005 my short contemporary manuscript, MAGGIE'S MAKEOVERS, placed second in the Great Expectations contest. 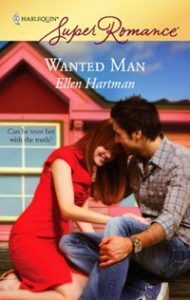 From the editor's request, I went on to sell that book to Harlequin American Romance and THE MAN FOR MAGGIE was a June 2007 release. 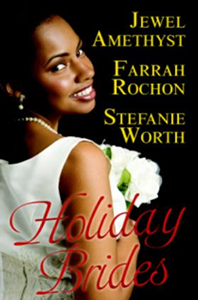 That book earned a four and a half star review from Romantic Times, and was a double nominee for a 2007 Reviewers' Choice Award. Thanks NTRWA for running such a great contest. It changed my life!" From the time Lee McKenzie was ten years old and read Anne of Green Gables and Little Women, she knew she wanted to be a writer, just like Anne and Jo. In the intervening years she has written advertising copy, magazine articles and an honors thesis in paleontology, and edited conference proceedings, educational material and technical publications. Along the way, her imagination demanded a more creative outlet, and she soon discovered the world of romance. Becoming a four-time Golden Heart finalist and a Harlequin author are her proudest accomplishments yet. Lee and her artist/teacher husband live on an island in the Pacific Northwest, and she loves to spend time with two of her best friends--her grown-up children. To find out more about Lee and her books, readers are invited to visit her at www.leemckenzie.com. "One of my favourite contests during my unpublished years was the Great Expectations (first in Mainstream with Romantic Elements, 2006; third in Short Contemporary, 2006). There was an extra personal touch and the coordinators were so helpful regarding my entry coming from overseas. Feedback was excellent and the range of final judges was fabulous. It’s still one I recommend to friends!" "I'd also like to extend my heartfelt thanks to the entire chapter. Way back when I first started writing I naively entered your contest thinking I'd blow everyone away with my superb writing. 😉 I finished second from the bottom and realized much to my chagrin I had a great deal to learn. (Bummer!) Thanks to the constructive and encouraging comments of your judges all those years ago, however, I knew what needed fixed and I worked on that. This year, I'm a finalist. Thank you, thank you, thank you! Your chapter rocks." 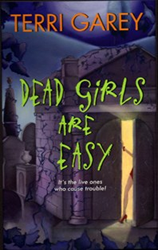 "I don't know if you'll remember me, but I won 2nd Place in the Paranormal category of the Great Expectations contest in 2006 with a manuscript entitled DEAD GIRLS ARE EASY. I'm thrilled to report that I've since sold the manuscript to Avon Books (along with the sequel, WHERE THE GHOULS ARE)! Woohoo! Thanks so much." Romance author Lindsey Brookes spent part of her life growing up in the deep south, the rest up north where winter brings in the cold and the snow. She penned her first romance, a historical, at the age of seventeen. From there she went on to join Romance Writers of America where she learned the ins and outs of the publishing business and ways to hone her craft. 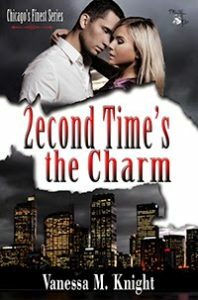 She switched to writing contemporary romance and has finalled in/or won more than 75 RWA chapter sponsored contests with over a dozen different manuscripts. She is also a four time RWA Golden Heart finalist as well as a past American Title III finalist and winner of Harlequin's Great American Romance Novel contest. She's married to her childhood sweetheart, her hero, with whom she has two beautiful daughters. "I choose my contests carefully and Great Expectations proved to be a great pick. Even though my story didn't place with the top entries, I received excellent, constructive feedback that bolstered my belief that I'd soon be published. Now, a year later, I'm happy to say that WHERE SOULS COLLIDE (formerly Inkling) will be released this summer by Dorchester/Leisure. Thanks again for this worthwhile opportunity." I write fantasy because, well, I believe in magic. From those negligible every day moments when a smile changes a stranger's mood, to those random acts of kindness that alter the course of another's life - magic surrounds us at every turn. I've been writing practically all my life - reading even longer. The first fantasy book I remember devouring was Mio My Son by Astrid Lindgren. The story must have transformed me because I've been all about Twilight Zone, Outer Limits, Stephen King and Dean Koontz ever since. I suppose I've never lost my childhood fascination with the wonder of "what if?" There's no greater feeling than making up an ordinary woman and turning her into the heroine of my book. She's always somebody from today's world who gets caught up in a supernatural situation that tests her smarts and her heart. She'll meet the challenge with grit. She'll make the tough choices. She'll change and she'll win. But the question will always be "At what cost?" With my stories you'll see: Magic works in mysterious ways. Just believe. "My manuscript which placed first in the Long Contemporary category in 2005 will be published in June 2007. Laura Shin, who was the contest judge, requested the full, and then after I revised it and resubmitted, she bought the book in October 2006 for Harlequin SuperRomance. "I gave the Great Expectations contest a plug in my chapter loop. I thought the personal touch with your communication was amazing. The feedback was wonderfully thoughtful and right on target! I thoroughly enjoyed my GE contest experience, even before I sold the book. "Thanks for all you do for the romance writing community!" New York Times bestseller Dianna Love once dangled over a hundred feet in the air to create unusual marketing projects for Fortune 500 companies. She now writes high-octane romantic thrillers, young adult (as Micah Caida) and urban fantasy. The first five books in her new Slye Temp romantic thriller series - LAST CHANCE TO RUN, NOWHERE SAFE, HONEYMOON TO DIE FOR, KISS THE ENEMY and DECEPTIVE TREASURES - all met with rave reviews. Her books are available in print, e-book and audio. On the rare occasions Dianna is out of her writing cave, she tours the country on her BMW motorcycle searching for new story locations. Dianna lives in the Atlanta, GA area with her husband who is a motorcycle instructor and with a tank full of unruly saltwater critters. http://www.AuthorDiannaLove.com or Join her Dianna Love Street Team on Facebook and get in on the fun!